Since you’ve made it over here, you should probably get to know a little about the festival! 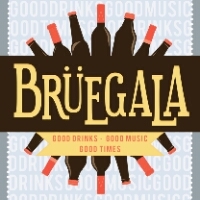 Bruegala is a charity beer and wine festival run by the Bloomington-Normal Jaycees. The 16th annual Bruegala will be held on Friday, August 28 and Saturday, August 29 at the Corn Crib. The event currently offers over 300 beers, 50 wines, multiple food vendors, and music throughout the two-day event. In the past 4 years, more than 16,000 people have attended Bruegala and the event has raised over $160,000 for local charities. This money directly impacts the citizens of Bloomington-Normal and McLean County. Our musical headliners are Red Wanting Blue on Friday and Steep Water Band on Saturday. It is going to be an amazing weekend, so come out for the fun! Entry is $15 and it gets you a sample glass and access to all music, food, and the rest of the fun! After you’re in, you purchase a beer punch card (5 punches for $5; 11 for $10; 17 for $15; or 24 for $20). Feel free to click around get more information about our Beer School, Beer Mile, bands, beers, and much much more! We also have a Beer Mile and a Beer school (hops edition) – which are bound to be as awesome as they sound!